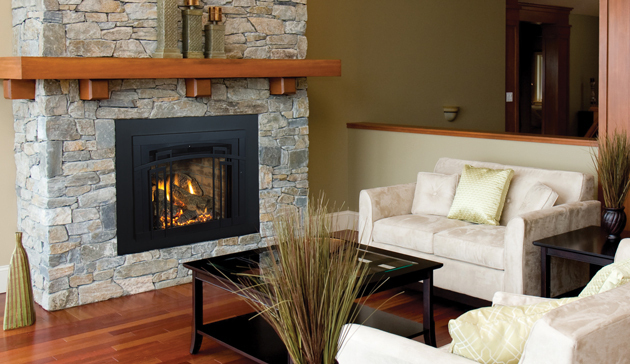 The Madison Park™ 27 gas fireplace insert is small in size but big in presence. This compact gas insert adds the convenience of gas and the look of a real wood fire to existing small wood-burning fireplaces. Listed to fit small zero-clearance factory-built and masonry fireplaces, the Madison Park 27 also turns your standard wood fireplace into a cost-effective and convenient heat source that you control with the press of a button.